There are only three weeks left until the return of one of Guam’s longest running events—the annual Smokin’ Wheels racing weekend! Since 1978, Smokin’ Wheels has been Guam’s premier international racing weekend, attracting thousands of off-road racing and motocross enthusiasts and professional drivers from Guam and around the world. Over 100 Japanese visitors travel to Guam every year just to participate in Smokin’ Wheels, including racers, their supporters, family and friends. The 38th Smokin’ Wheels weekend kicks off on Friday, April 15 and from morning to sundown, it will be jam packed with enduro racing, off-road buggies and trucks, motocross racing, ATV racing, drifting, drag racing, mud bogging and more. Don’t miss the SHOWOFF GUAM Car Show on Saturday night, when Guam’s top show cars compete for category trophies and bragging rights and are judged by seasoned SHOWOFF Judges from Los Angeles. One hundred of Guam’s finest cars will be on their very best display. On Sunday, Smokin’ Wheels will fire up the grills for the Jack Daniels Smokin’ Grills BBQ Competition, in which 12 teams will vie for cash and prizes in a blind judging competition with KCBS-certified BBQ judges. Food and drink vendors, DJs and live music, models and dancers add to the energy and excitement of Smokin’ Wheels. Day passes cost $10 and an all-weekend pass is just $20. 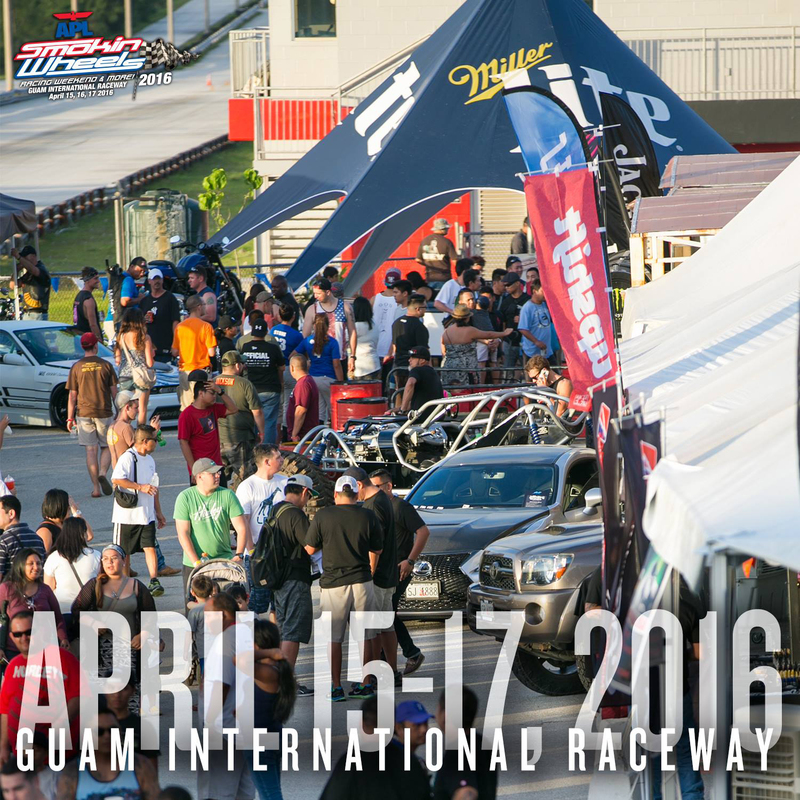 April 15~17 promises a full array of exciting motorsports racing at the Guam International Raceway. With hundreds of participants and thousands of spectators expected, you&apos;ll want to save the dates for this once-a-year, ultimate motorsports festival.